Voters at Austin Community College in Texas cast their ballots on the first day of early voting for the 2018 midterm elections. "We've been hearing reports of voters who go to the booths, they try to vote straight ticket and then the next screen they see it appears that their vote has been selected for a candidate of the opposing party," says James Slattery, a senior staff attorney with the Texas Civil Rights Project. The reports have been coming in from across the state through Election Protection, a hotline for voters experiencing issues at the polls. Cordell Hosea, who lives in a suburb of Houston, says he tried voting straight ticket for Democrats last week. "I was getting ready to press the red button to cast my ballot and something told me to glance over to the screen," he says, "and when I looked over at the screen, I saw that Ted Cruz was noted as my senator." Hosea says he told poll workers about what happened and they had him restart the process. He says it worked the second time. In a statement, Texas Secretary of State Rolando Pablos stressed that the eSlate voting machines are not malfunctioning. "It is important for all voters in the 82 Texas counties utilizing the Hart Intercivic eSlate to understand that the voting machines are not malfunctioning, nor are they arbitrarily 'switching' the choices of voters who cast a straight-party ballot," he said in a statement. 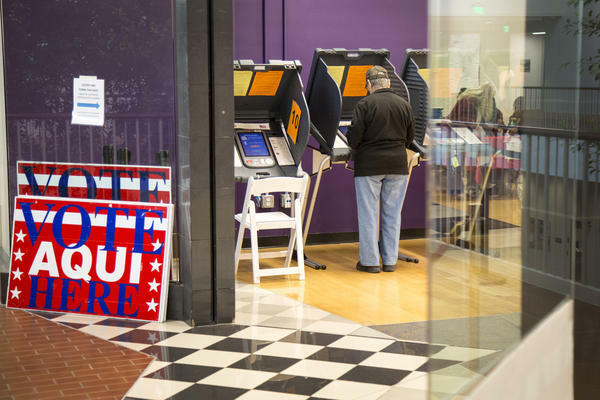 Sam Taylor, a spokesperson for the Texas secretary of state's office, says this problem is stemming from voters "pressing a button or turning a wheel before the screen is finished loading." Taylor says that while the machines are reliable, they are older technology, which could be tripping up some voters who are used to newer and more responsive technology. "The machines that most of the counties in Texas are working on sometimes came from the mid-to-early 2000s," says Taylor. Following election issues in the 2000 presidential election, Congress allotted $3 billion in grants for states to replace their old voting machines. Since then, many state and local governments have been using the same machines bought during that time. 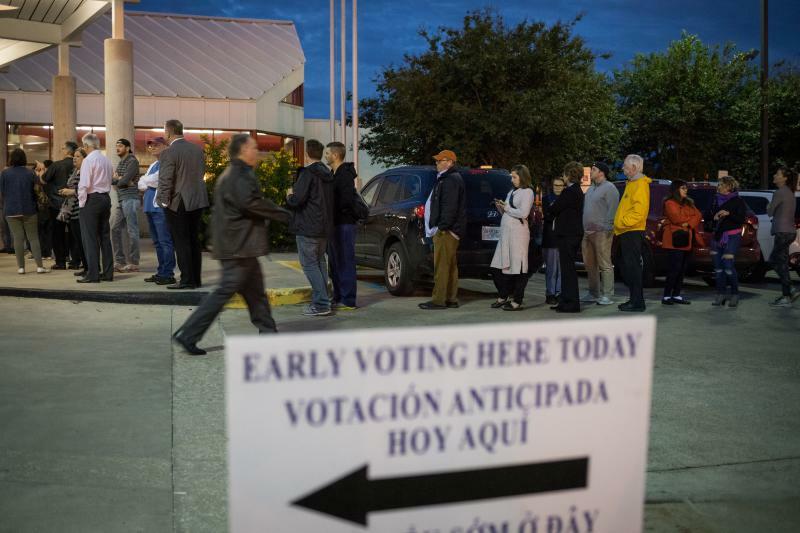 "The straight party voting features and functionality of eSlate work exactly in accordance with rules as defined by the Texas Secretary of State's office and the Texas Election Code," officials from Hart InterCivic said in a formal statement. "The eSlate simply records the voter's inputs; it does not, and cannot, 'flip' or 'switch' votes." Taylor says "anxiety" around the voter security in since the last presidential election is also a factor in what's happening in Texas. "Since 2016 there has been a lot of attention around election integrity," Taylor says. "We've done our best to get ahead of that and make sure that voters know that their votes are secure — but like anything, there are still going to be anxieties out there." Slattery says that what is happening with the machines in Texas is easy to "identify and fix," as well. He says voters should also always double-check all their votes before they cast their ballot and that the voting machines are old and finicky and, unfortunately, voters need to be extra vigilant. "It appears they date back to the turn of the century," he says. "It really underscores how antiquated and backwards some of the Texas voting technology is." We're just 12 days away from Election Day, and four days into early voting across the Lone Star State. Many polling places are reporting record early-voting turnout. 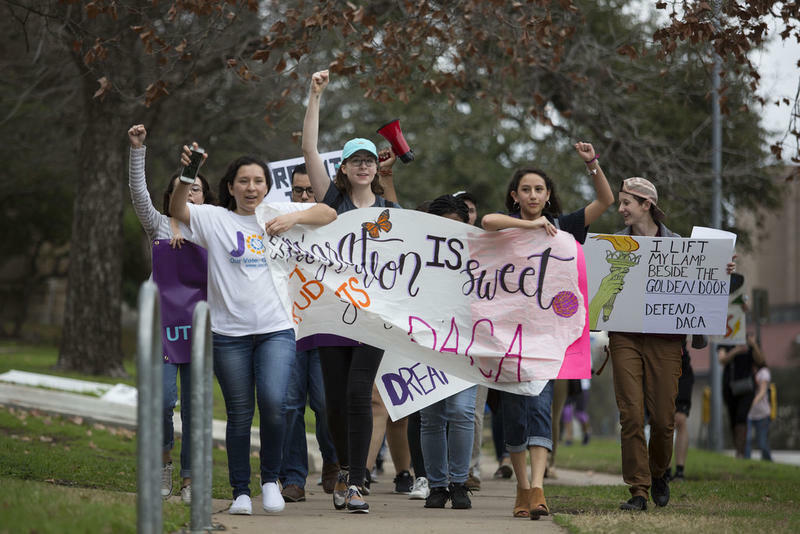 Sharon Navarro, a professor of political science at University of Texas at San Antonio, says that shows voters are energized this year.